Would you like your business or product to be featured here? Then all you have to do is send me an email and then provide your contact details and the establishment or product that you want to be featured. 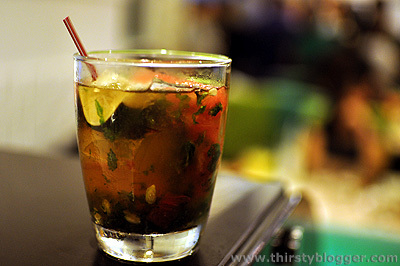 Moreover, please note that I will only feature that which is related to this blog’s niche, which is primarily about beverages; with food, health and travel as complimentary topics. What does getting featured here mean? It means I will visit your establishment to sample your menu or try out your product so I can write about it here. Please note that a feature is not a review. The purpose of the article will be to inform readers about your business and provide details on how they can visit your establishment or where they can buy your products. Why will it be NOT a review? Because you know I’m coming, so you’ll have your best foot forward; that’s why it’s just a feature. However, if I did like my experience with you, then I’ll surely come back to your place unannounced as a regular customer, or buy your product on my own; and then write a personal review about it. Okay, so why then would you want to be featured here? The Thirsty Blogger is an established and well-recognized brand in the Philippine blogging community. It’s quality and novelty has already captured several awards and recognition, which includes being a finalist in the Philippine Blog Awards for the Best Food and Beverage Blog category. Now on its second year, this blog continues to experience significant growth in visitors and readers. The website currently has a Google Page Rank of 3 and receives more than 12,000 pageviews a month. Third-party web statistics for 2010 show that The Thirsty Blogger has consistently received a 10% increase in pageviews and an 15% increase in new visitors each succeeding month. It is expected that this trend will go significantly higher as more articles will be added here and better marketing strategies will be implemented for the blog. Getting featured here means getting exposure to my blog’s readers. Which will hopefully, make them want to visit your place or try your products one of these days.